Bucovina horses are an extremely rare cross between Romanian Hutzel (Huzel) horses with an infusion of draught horse blood. 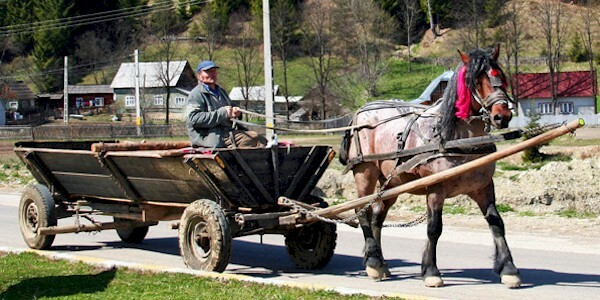 They are suitable for riding, draught work, and logging. They retain the toughness, economy, and tractability of Hutzel horses. Their cost is roan coat color which most like comes from Ardennes ancestr. Which is not a surprise since Ardennes were introduced into Romania after the Second World War to regenerate local stock.